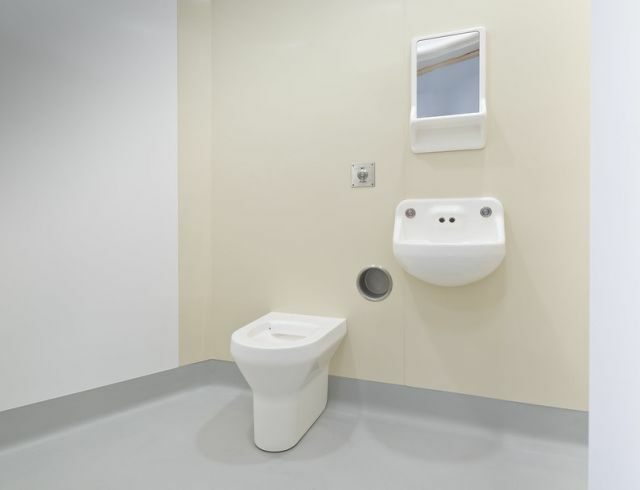 BioClad® antimicrobial polyvinyl chloride (PVC) panel containing Biocote silver ion antimicrobial additive throughout the product thickness to inhibit the growth of bacteria and mould. BioClad® Antimicrobial PVC provides a lifetime guarantee from a single source manufacturer and incorporates a unique installer warranty. Good quality fair faced brick or blockwork. Sand and cement rendering 1:3 with a steel trowel finish. Ceramic tiles which are securely bonded to substrate. 9 mm (minimum) W.P.B resin bonded to substrate. Pink lightweight plasters are generally not suitable. Some surfaces may need PVA sealer subject to site survey. Healthcare, food manufacturing areas, commercial kitchens, pharmaceutical areas, laboratories, showers, WCs and wet hygienic areas. BioClad recommends all products are fitted by approved installers; consult manufacturer for details. The product information below is from the NBS Plus library of product clauses offered in NBS specification products. It has been created by NBS for BioClad. Each product clause is authored in NBS format and is intended for inclusion in project specifications. Please note that NBS product guidance is not a replacement for the manufacturer's literature and it is recommended that BioClad be consulted before specifying. Can be colour matched, consult manufacturer and insert requirement.